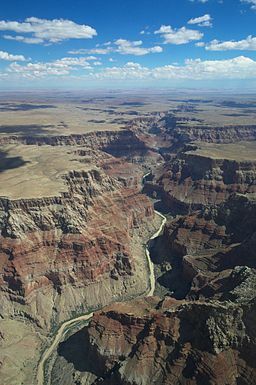 The Grand Canyon is a UNESCO World Heritage Site and a National Park in the state of Arizona. It was formed by the Colorado River eroding its banks over millions of years and is: 227 long, up to 18 miles wide and is over a mile deep in places. ride on mules up and down the canyon.